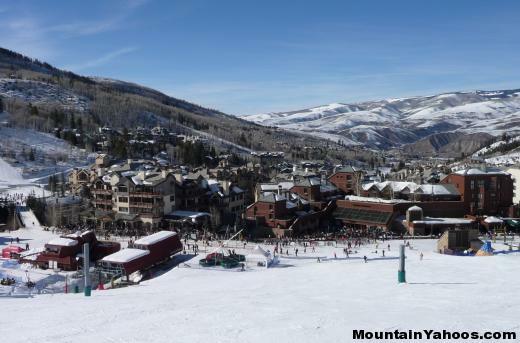 Beaver Creek is a skiers mountain which caters to a pampered clientele. 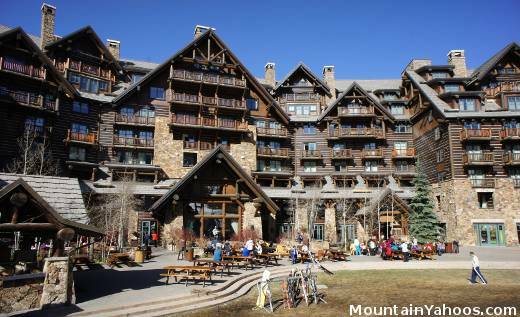 It is a luxury resort which grooms 776 acres each day to provide the beginner and intermediate skier with the ultimate conditions. 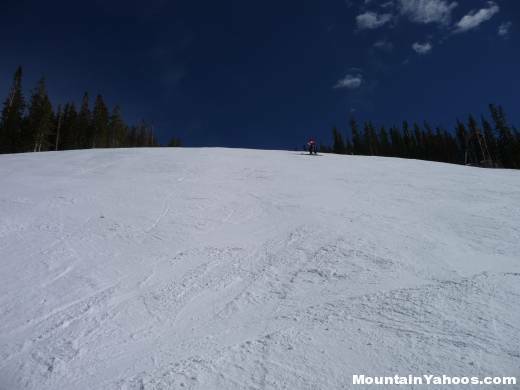 The advanced skier will like the mogul runs, unharmed by hoards of boarders which tend to rid them of ruts and rhythm. Boarders are welcome here but they do not overwhelm the resort. One first gets the "Luxury Resort" impression as soon as they arrive at the base village. 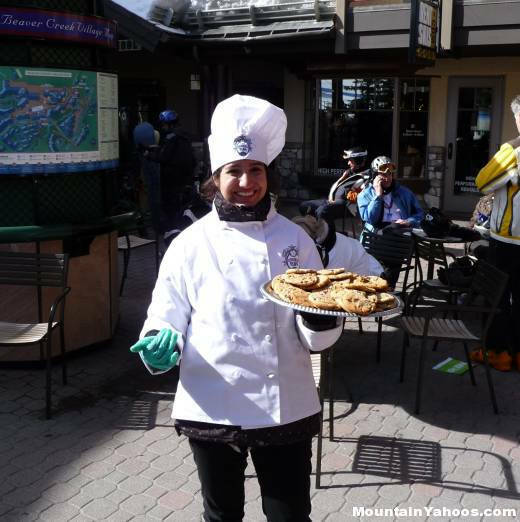 We were greeted by chefs handing out freshly baked cookies at the top of the escalator. Yes escalator. 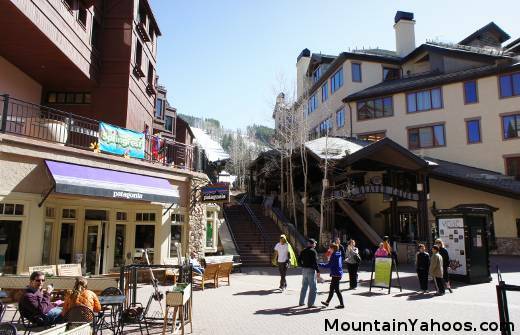 A true luxury resort is not going to make you walk up the stairs and Beaver Creek is a luxury resort. This luxury does not come at a cost to the environment as Beaver Creek is wind powered and the trail maps are printed on recycled paper. 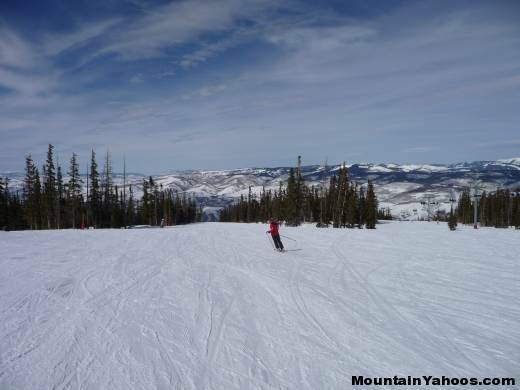 There are three base villages, Arrowhead and Bachelor Gulch which support beginner and intermediate areas on the mountain and the main base area, Beaver Creek Village which supports an eclectic mix of runs for all skier levels. The 2008-2009 season showcased "Ice Music" presented using musical instruments created from ice in an igloo symphony hall. This exhibition was amazing and like nothing else I have ever seen. See our review of "Ice Music" as presented here at Beaver Creek. 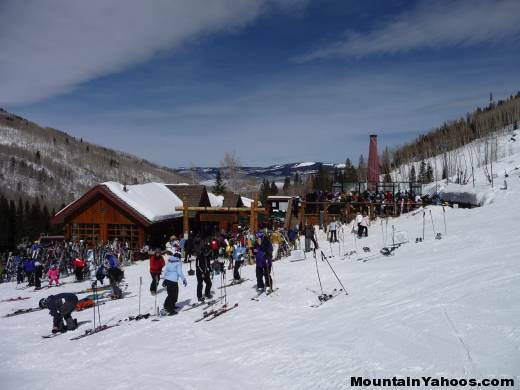 Beaver Creek consists of 3 peaks: the main summit (mix of beginner to advanced), Grouse Mountain (advanced) and Bachelor Gulch Mountain (almost all easy). 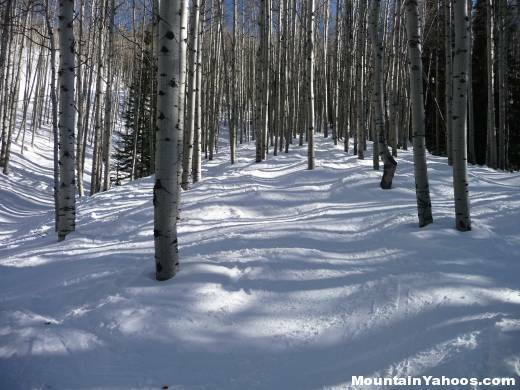 Beaver Creek has a plethora of wide open easy trails. They are spacious, not crowded and you can cruise unobstructed. Don't let Beaver Creek's high society, luxury village environment fool you into thinking that the mountain is fluffy and easy, there is plenty of advanced terrain here. 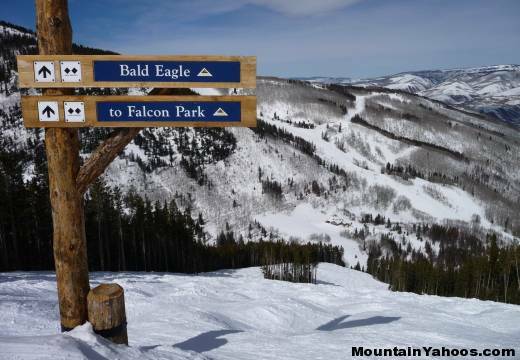 Beaver Creek's famous Olympic downhill race course run is "Birds of Prey". 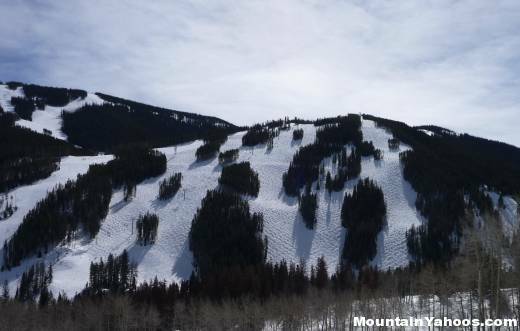 While it is a groomed smooth run, it is steep in sections and you can achieve a high velocity just like the Olympic downhill competitors. Just remember that if you are not going for the gold, make sure you can stop at any time. 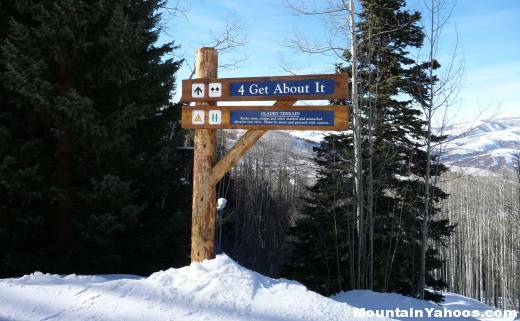 Beaver Creek has plenty of well formed mogul runs. 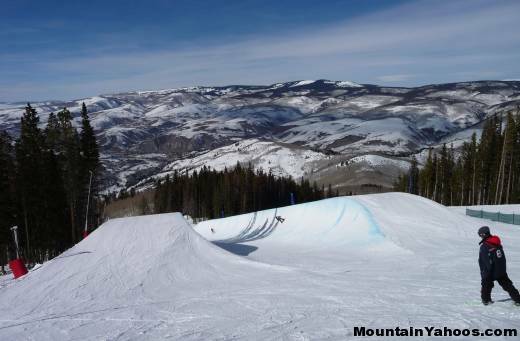 As with most resorts these days, boarders roam the entire mountain but at Beaver Creek they seem to leave the mogul runs alone, allowing them to maintain their optimum shape. "Peregrine" is one of their signature bump runs with solid bumps top to bottom. "Peregrine" follows the lift so remember that you may have an audience. Runs on Grouse Mountain are predominantly mogul runs. If you love moguls, you can spend the entire day skiing off of the Grouse Mountain Express Lift. Mogul runs on Grouse Mountain. "Bald Eagle" is on the viewer's far right. Run: "Bald Eagle". 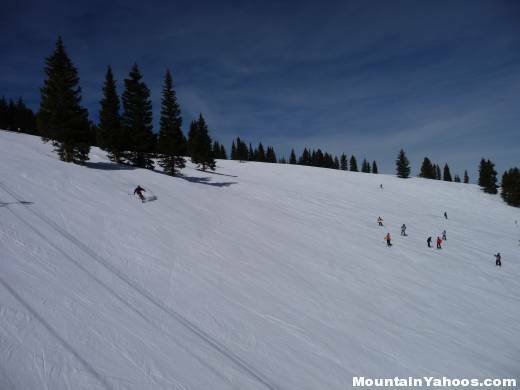 Moguls as far as you can see. 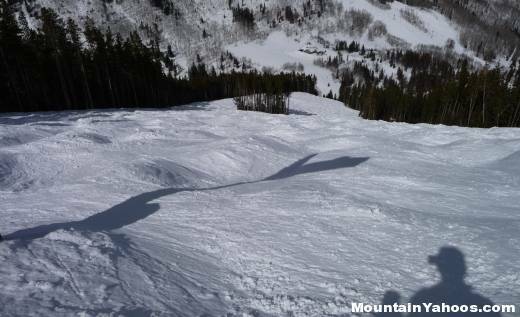 "Stone Creek Chutes" can be found at the far left hand side of the trail map (skiers far right off of lift 5, Drink of Water lift and half way down.) 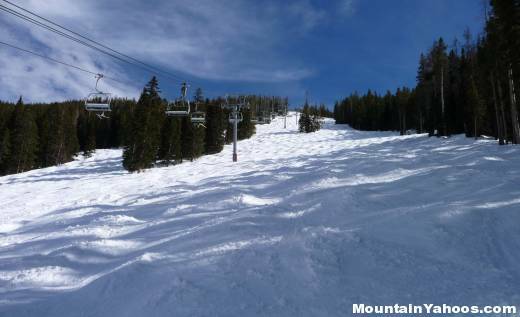 Also read our "Out of Bounds" notes for a gate off of Larkspur Express lift. Sorry, I don't have any photos as the lifts closed before I could get over there. Maybe next season. If it's a powder day at Beaver Creek, be sure to take Grouse Mountain Express Lift to the top and exit right to "Royal Elk Glades" to ski the pines. You will also find "Black Bear Glades" on this side of Grouse Mountain. Run: Trees at "4 Get About It"
Back country access is available through the gate off the top of Cinch Express lift to get to some open bowls. 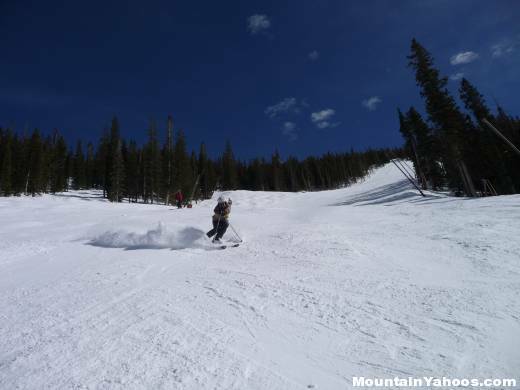 An open gate can also be found at the top of Larkspur Express lift which leads to an avalanche-prone area known as the Y Chutes. There are also two exit gates off of Grouse Mountain. Start small with "Park 101". Move up to rails and trick at "Zoom Room". Graduate at "Lumber Yard" for rails, "Moonshine Terrain Park" for tabletops and the half pipe. Class dismissed. 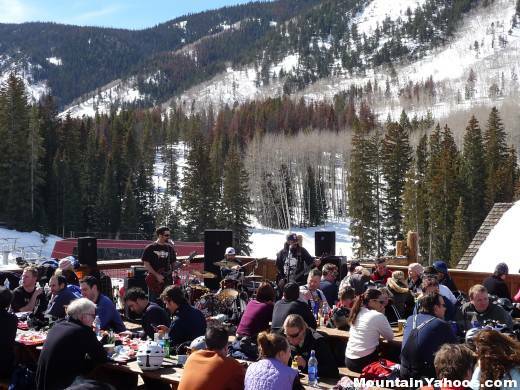 Run: Freestyle Park - "Lumber Yard"
For lunch on the mountain, I definitely recommend the mid-mountain "Red Tail Camp", not just because they serve a great BBQ sandwich but also because they put out rockin' good bands on the patio on a nice day. 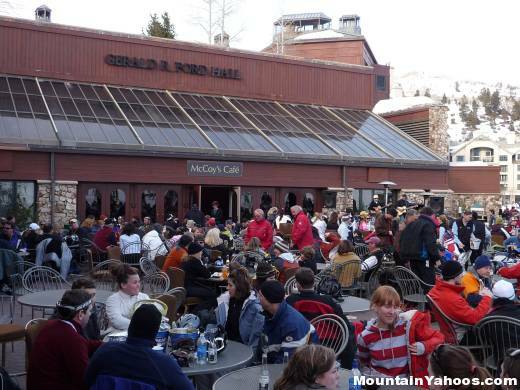 The nearby town of Vail will provide the best nightlife but for local apres ski, check out Coyote Cafe in the village, the sun deck at Beaver Creek Chophouse or McCoy's Cafe at the base. The Dusty Boot Saloon will have both the happy hour and the steak house to fill you up afterwards (970)748-1146. 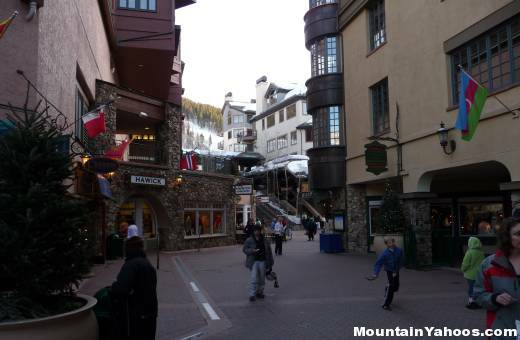 Beaver Creek has a wonderful village at the base and there is shopping everywhere in the Beaver Creek village! 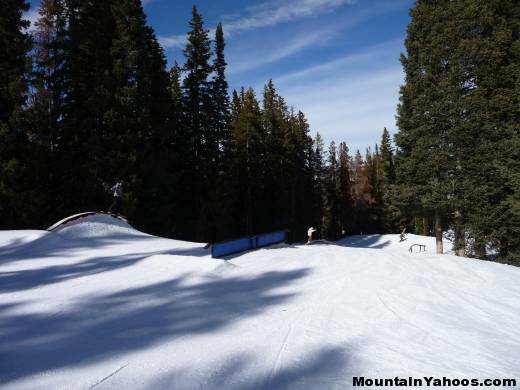 Panoramic Virtual Tour of Beaver Creek Village loop. 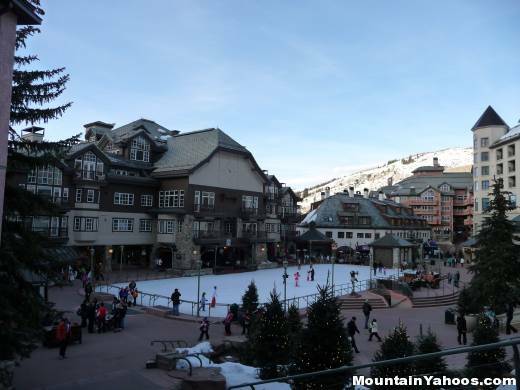 There are no shortage of places to stay in Beaver Creek. 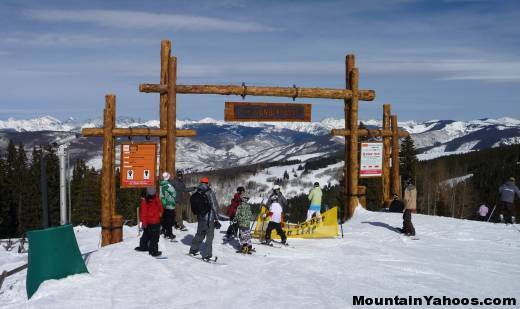 Beaver Creek is located just West of Vail on I-70, just 120 miles West of Denver.